Created in the Summer of 2015 . This show was created and performed for a fundraiser in New York for our good friend Matt Brooks and his wife Nora after they lost their apartment in the East Village to a fire and building collapse. This video is a final rehearsal of the piece. 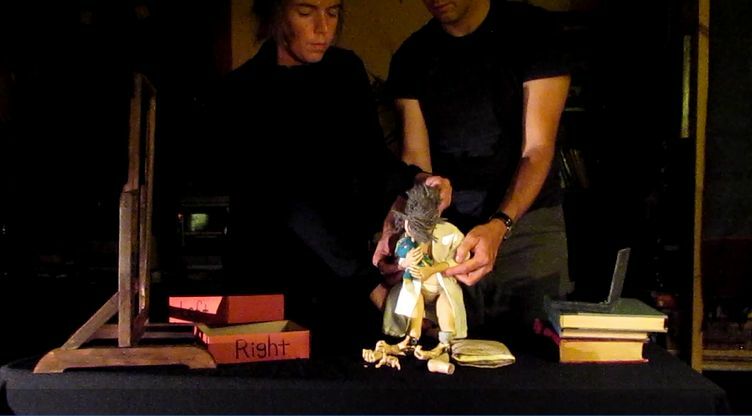 Puppeteers: Ronald Binion and Amanda Maddock. Music and soundscape by Maria Pugnetti.